What Is a System Error Code? A system error code is an error number, sometimes followed by a short error message, that a program in Windows may display in response to a particular issue it's having. Like how a doctor may use a certain word to describe a list of symptoms to a patient, the Windows operating system might give out an error code to describe an issue it has with a software program, which in turn makes it easier for a software developer to understand what has happened, and therefore how to fix it. 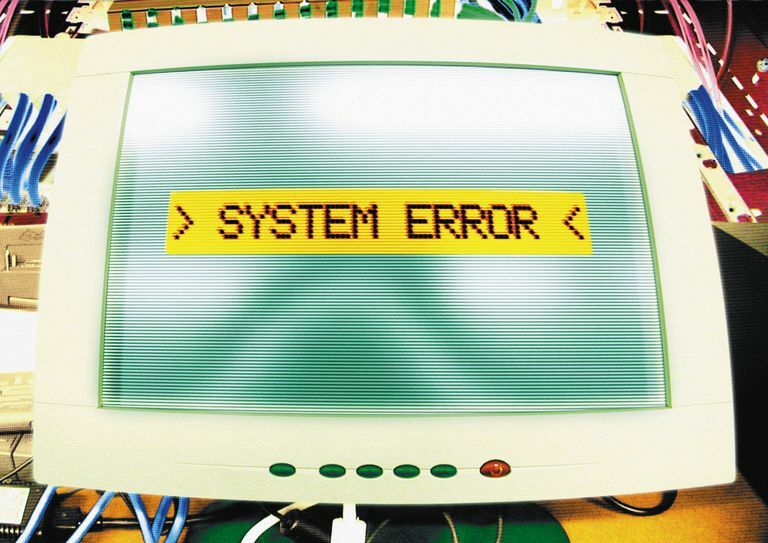 A system error code is not the same as a Device Manager error code, a STOP code, a POST code, or an HTTP status code (a.k.a a browser error code or an internet error code). Some system error codes share code numbers with these other error code types but they are completely different errors with different messages and meanings. A system error code is sometimes simply called an error code, or an operating system error code. What Is the Reason for a System Error Code? System error codes are provided to software programmers as part of the programming interface with the Windows operating system. In other words, system error codes are predefined error codes and error messages that software programmers can use with their software to tell you (the software user) that the program is experiencing a particular problem. Not every software program uses these predefined system error codes. Some software programs have their own sets of error numbers and error messages, in which case you can refer to their official website or manual for the list of error codes and what they mean. What Do the Different System Error Codes Mean? "The filename or extension is too long." In this case, shortening the name of the file before saving it will avoid the error. This error code most likely describes a situation where the hard drive is too full. Deleting temporary files or clearing up space in other parts of the hard drive, might be an easy solution to this error. See System Error Codes: 1 to 15841 for a complete list of these types of errors, plus what they mean, the messages that accompany them, and the values that may appear instead of the code number. The same system error code may be used in hundreds of different instances in Windows. This means that the codes are very generic since they can apply to lots of different circumstances. For example, instead of having variations of Error Code 206 for each file extension or folder location, Windows uses the same one to apply to each circumstance where the file name/extension is too long. Because of this, just knowing the code won't be sufficient in understanding how to fix the problem. In addition to the system error code, you should understand the context in which it was found. As an example, say you've received Error Code 112, which means that there is not enough space on the disk. Just knowing the code will do you no good unless you also know where it occurred, such as which disk it's referring to. It's also important to remember what you were doing when the error was displayed, like if you were trying to add additional files to the hard drive. The solution, then, will be much easier to understand and address. It really depends on the system error code as to what you should do afterward. In the first example given above, the solution for the error is pretty self-explanatory: change the name of the file because it's apparently too long. However, it isn't always that easy. For example, if an application throws Error Code 6, meaning "The handle is invalid. ", it's likely you won't know what to do, let alone what it means. In these cases, before doing anything, you should always try again to see if the error happens twice. If it doesn't, it could have been a temporary fluke that doesn't need any attention. If it does, then your best course of action is to contact the software developer's or distributor's technical support for advice on what can be done. Again, before contacting anyone, it's important to have full awareness of what you did when the error occurred, what you were prevented from doing because of the error, and anything else that may be useful in finding a solution.